It takes daring for a movie to not only reference Taken 3 but mimic its climax. 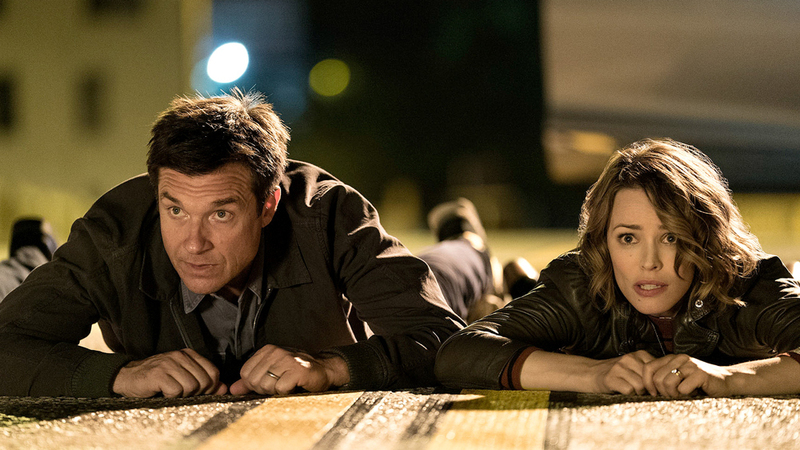 But Game Night is thankfully a comedy smart enough to know you can’t win by reference and raunchiness alone—this movie shows that it’s wiser to play by the rules for setting up a silly plot of twists, violence, and chaos instead of flipping over the board and hoping the audience will laugh at the mess. 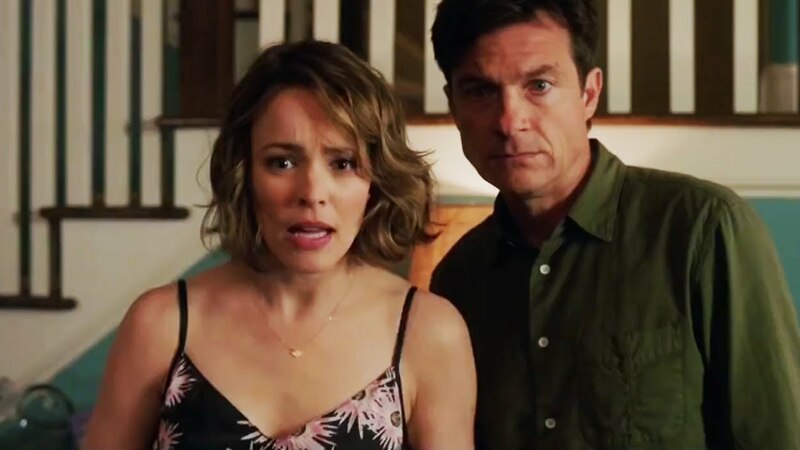 Rachel McAdams and Jason Bateman as Annie and Max. Warner Bros. It helps that Game Night avoids the common pitfalls before barreling toward its jokes without consideration. The story establishes characters that are likeable and charming instead of being jerks and toxic personalities swept away by gags. The central couple is Max and Annie, played by the always passively pensive Jason Bateman and a toothily chipper Rachel McAdams. The two of them are competitive and love games to an absurd degree; they first met at bar trivia and played Dance Dance Revolution at their wedding reception. They’re now trying to have a baby but have a handful of issues to resolve before taking the next step in their marriage. Still, they always seem to come together for their most cherished of celebrations, game night. They invite over their closest friends: another couple, Kevin and Michelle (Lamorne Morris and Kylie Bunbury), who have been together since they were teens, and a doltish single, Ryan (Billy Magnussen), who brings a new date to every party. They’re a pleasant bunch of people to follow, and all of them have enough charisma and arcs to their relationships that the whole film could’ve just been about them playing charades. But the plot thickens when Max’s brother, Brooks (Kyle Chandler), enters the picture. As the more successful and accomplished sibling, Brooks invites Max and his friends over to his place for a spicier sort of evening game—he has hired a murder-mystery company to stage a play murder in the house, with clues given as to who may be the murderer and the grand prize being Brooks’s fancy car. Naturally, as established by the film’s foreboding atmosphere, the mystery goes awry when real gangsters break into the house and kidnap Brooks. And from there, the story splinters into an oddly amusing night of confessions, bullets, tricks, and blood. This is the type of comedy is that could’ve easily gone bonkers with gross-out gags and dark humor, but directors John Francis Daley and Jonathan Goldstein keep everything on track. The dialogue is written with some hilariously scripted bits, never feeling as though the directors just left the camera on to let the comedy flounder. Max and Annie are considerably fleshed out, so they’re not just a game-obsessed couple that can only speak the language of charades and Pictionary; they do still use Pac-Man for analogies about having a child, but it seems very much in their nature and like it’s coming more from a genuine quality than a need for a laugh. Kevin and Michelle have a great running arc of Michelle having slept with a celebrity whose identity Lamorne spends most of the movie trying to guess. And while Billy Magnussen offers the most accessible comedy as the slow-witted oddity of the group, he’s kept in line with brief moments of genius and is perfectly paired up with his condescending date, played by Sharon Horgan. All of these actors are a hoot, but it’s ultimately Jesse Plemons who steals the show as the cop, Gary. He’s a next-door neighbor who has recently gone through a divorce, and Max and Annie try to distance themselves from him. It’s understandable why—he’s a straight-faced man dealing with heartbreak, but that heartbreak can’t surface from behind his stone-faced demeanor, making him appear as a creepy stalker (sometimes carrying his dog for that extra bit of Silence of the Lambs creepiness). Plemons’s delivery and silent awkwardness made him such a surreally comedic force that I couldn’t stop laughing every time he occupied a scene. Another aspect that cannot be ignored is the production values. I was amazed at how the transition scenes used stellar miniatures to create the odd illusion of a board game that doesn’t seem too apparent. There’s a fantastic chase sequence through a mansion that’s posed as being all one shot; it apparently wasn’t, but it’s still fun to watch the camera move about. Enhancing the real danger that group finds themselves within, the soundtrack by Cliff Martinez (Drive, The Neon Demon) adds the earnest synth aesthetic of an intense action film. And the violence, sparse as it is, comes with a fervent desire to be brutal, but never too gross-out. The most disgusting moment you’ll see is a clumsy attempt by a couple trying to remove a bullet with stuff they bought at the drugstore. 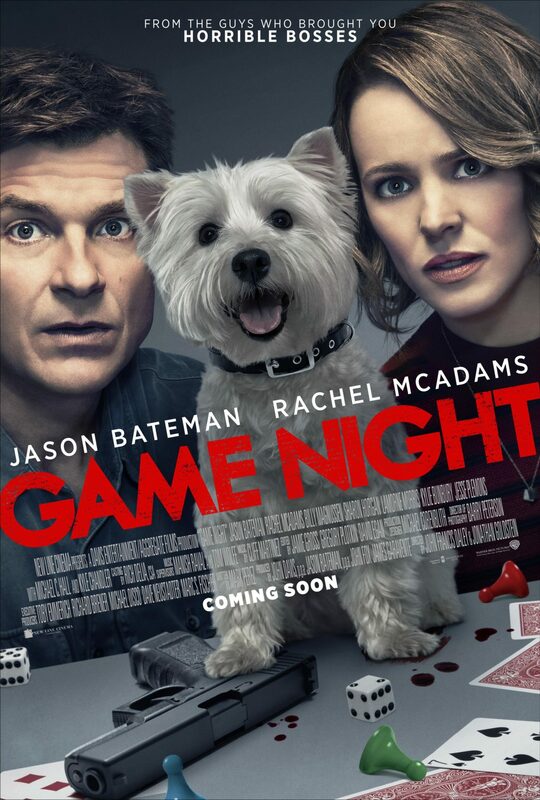 Game Night is worthy of its dozens of laughs for being sweet with the characters, fun with the violence, and thoughtful with its writing. My only major nitpick is that you can see most of the duct tape trying to hold together the twisty plot and maintain focus. Certain aspects are explained away quickly, such as the cops working for the mafia or the third-act reveal of who the real villain behind all this is. That being said, I’m glad the filmmakers had enough insight to focus the story more on the character dilemmas and not so much on the caper of snatching a MacGuffin to save a friend from the mafia. There’s such an incredible balancing act between real relationship issues and action-packed slapstick that the film never feels too sentimental in its observations of aging nor too low brow, even when Bateman’s wounds bleed all over a dog that he fails to clean. It’s great fun for ages 18 and up.